PANEL 2 | Political Cohesion and Decision-Making: is NATO Fit for Deterrence? 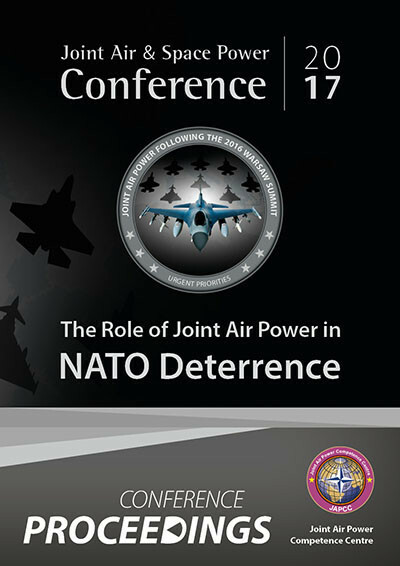 Panel 2 was introduced by an academic viewpoint that NATO needs to fundamentally revise its ‘modus operandi’. In hypothesizing that NATO has no role in deterring terrorism (a view which was challenged by a subsequent military speaker), and that there are now too many grey areas when the invoking of Article 5 is not clear (e.g. a massive cyberattack on an Alliance member from a known adversary), it was argued that a future NATO strategy might include a bolstering of conventional deterrence via a large build-up of credible, forward deployed forces. This, however, would be costly in purely fiscal terms. Alternatively, a lowering of the nuclear threshold and the re-establishment of intermediate-range nuclear forces could be considered. Whilst this theory is perhaps valid from an academic perspective, it is unlikely to ever be supported by Alliance nations who do not perceive a current, existential threat to their countries or their lifestyles. It was argued that another potential path for NATO could be a strategy of asymmetric escalation. An example scenario was a land grab of a small piece of territory backed by the threat of nuclear retaliation to any armed NATO response. Rather than risking nuclear escalation with a direct military response, a cross-domain response, including perhaps a cyberattack or other hybrid options might be implemented. These ideas are academic in nature and serve to highlight the challenges NATO faces both in sustaining its current posture and the difficulties of achieving consensus for any future changes to that posture. The threats and challenges faced by NATO vary enormously and range from specific regional threats to those of a global nature. Panel 2 considered three brief country studies which illustrated these differences and highlighted that, NATO cohesion is vital, with regard to specific forces on the ground or in the air, there is not a ‘one size fits’ all solution. The Conference heard from senior representatives from Norway, Romania and Greece. Each of these nations faces different and unique security challenges and public perceptions of ‘the threat’ were, again, highlighted as important. In all cases, the criticality of relationship building with neighbours was underlined as was the need for the voices of smaller Alliance members to be heard and seen to be carrying influence. The issues of migrants and refugees remains a topic of disagreement between some NATO nations. Some nations see this as more of a problem than others with respect to long-term shifts in the makeup of nations and economic impact of social services on national security. These shifts can foster changes in predominant political beliefs and could make the achievement of consensus harder in future. There also remain differing perspectives between NATO nations on what constitutes an existential threat to both their nation and the Alliance. This could make the achievement of consensus for the triggering of Article 5 difficult in certain circumstances. For instance, Turkey might view threats in the Baltic region very differently from Spain or Portugal. The view was articulated by one speaker that NATO nations are so strongly interlinked that issues affecting one nation or region will eventually affect every member of the Alliance in some manner.